Mid-spring promises to be interesting and rich for the gaming industry. This month comes a few new games, and the April premieres will be very diverse, so that everyone can find something to their liking. We would like to show you our list of the most anticipated games in April and invite you to choose the one you like best. This spring started with many interesting releases and a new month again preparing us a variety of fantastic premiere. We would like to show you the best games in April 2013, which should come very soon. Have you ever imagined yourself as a superhero? Very soon you will find yourself in place of Batman, Superman, Wonder Woman and other characters and embark on an exciting adventure. 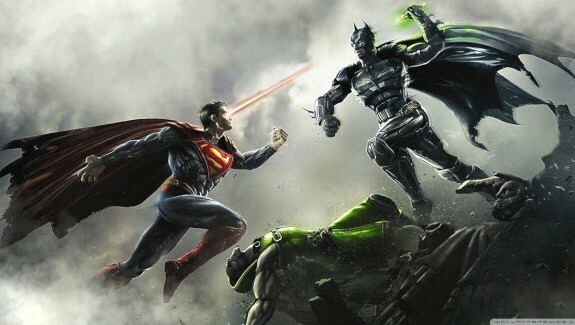 New game Injustice: Gods Among Us – it’s a fighting game, which is based on the universe of DC Comics. The game will be a lot of one on one battles in two dimensions, and the graphics will adorn high-quality and detailed three-dimensional background. Each hero Injustice: Gods Aming Us will have a story line, which will gradually unfold throughout the game. Interestingly, the main characters meet on the field of battle with a variety of enemies, even those with whom in the comics they never clashed. Released Injustice: Gods Among Us is scheduled for April 16. Papo & Yo game originally released on the PS3 in the summer of last year, but this amazing story has become so successful that the developers have decided to release an additional Rapo & Yo for the PC, which will be on sale April 18. In this adventure game you will play the role of a young boy who is hiding from the harsh reality in his dream world. 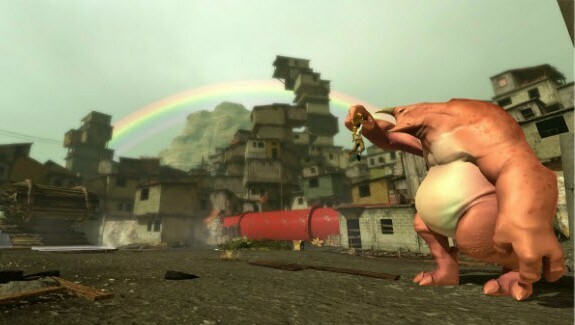 The main character Papo & Yo is a companion PC – pink monster. The main task of the game – use this monster to solve story problems were associated with the world game. Monster – quite a nice establishment – but it’s worth it to eat a few frogs, like the monster becomes unmanageable. This allegory symbolizes father Developer Papo & Yo, who was an alcoholic and ruined his childhood. But after years of this tragic event turned into a fascinating game. Star Trek universe again inspired developers to create even a single game. This time the game Star Trek – it’s action-adventure third-person. The project was conceived as a single user, but with elements of cooperative play. Here we will be playing for the two main characters – Kirk and Spock, each of which has its own unique abilities and battle tactics. So, playing for Kirk, you will act as the hero of the traditional shooter, as Spock makes his mission in stealth-game. Star Trek events occur in 23 century somewhere in a very distant planets. The developers have promised to add to the game of futuristic weapons and equipment, so that the battle should be really spectacular. Released the game Star Trek scheduled for April 23. After heroes Dead Island got out of his personal zombie hell, they immediately fall into a new adventure. Game Dead Island: Riptide again narrates the desperate war against the zombies beautiful wild landscapes. 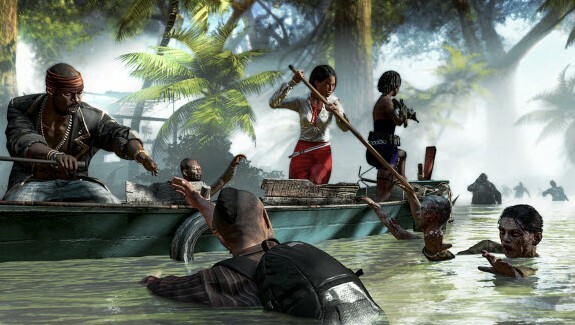 The developers have promised to correct all the mistakes and shortcomings of the first game, and add new levels, weapons and vehicles, so even if Dead Island you do not like, do not dismiss its continuation. The game will be a new character, but so far we do not know his name, and features. Released Dead Island: Riptide is scheduled for April 23 for PC, PS3 and Xbox 360. Dead Island: Riptide – pre-order available. 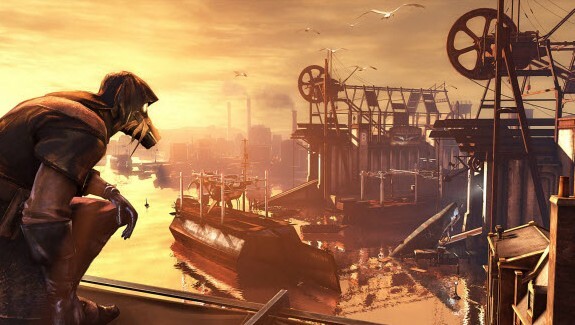 Along with large and interesting games in April, we will also see a full complement of game Dishonored. “The Knife of Dunwall” will tell of the most powerful killer in the city – Daud, who was the main villain of the game. Daoud will have three new missions, a unique storyline, awesome weapons, and, as usual in the game Dishonored, the total free choice. Dishonored DLC comes in two parts, the first part and the release is scheduled for April 16.